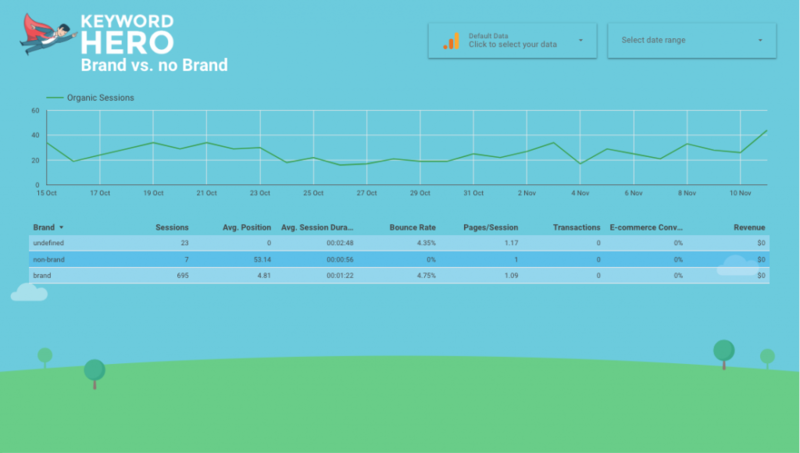 The Hero developed custom dashboards that are optimized to give you insights into your keyword data. Add the dashboards to your Keyword Hero property in GA by clicking “GET IT!” and make sure to do this first and use Chrome if it doesn’t work! ATTENTION: You need the metric “average position” for this. Set it up in 1 min. ATTENTION: You need the metric “average position” for this. Set it up in 30s. 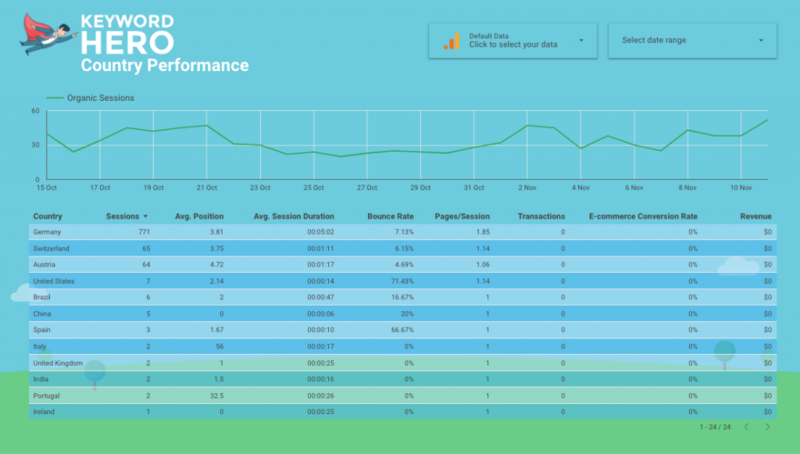 The SEO dashboard gives you a quick overview of five of your most important SEO KPIs, such as your top keywords and their position in the SERPs, your organic performance across channels and countries. Monitor and optimize your mobile and desktop Performance by always having a eye on both of them. 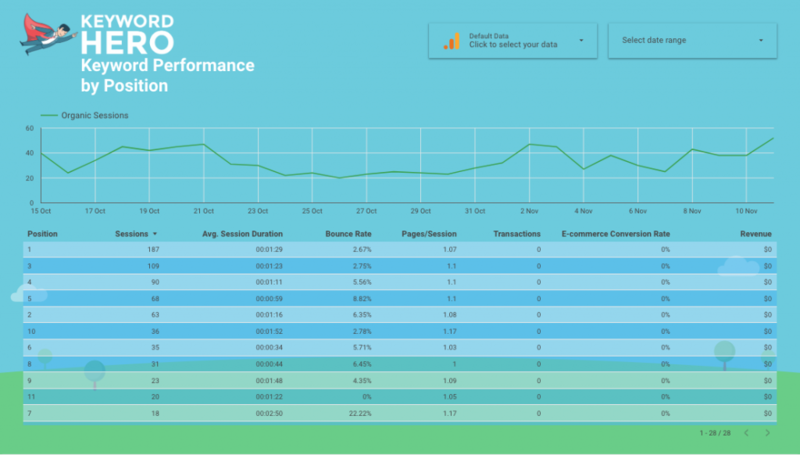 This dashboard will give you a quick overview of the organic performance across the two device categories. The keyword performance report gives you a quick overview of the performance of individual keywords. You’ll get insights about their position in the SERPs, the the number sessions they trigger and how users behave that use those keywords. 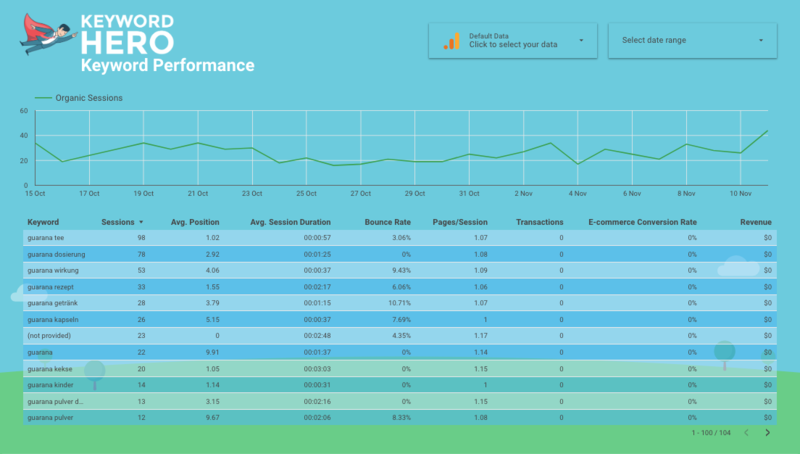 Get a clear picture about the performance across device categories. 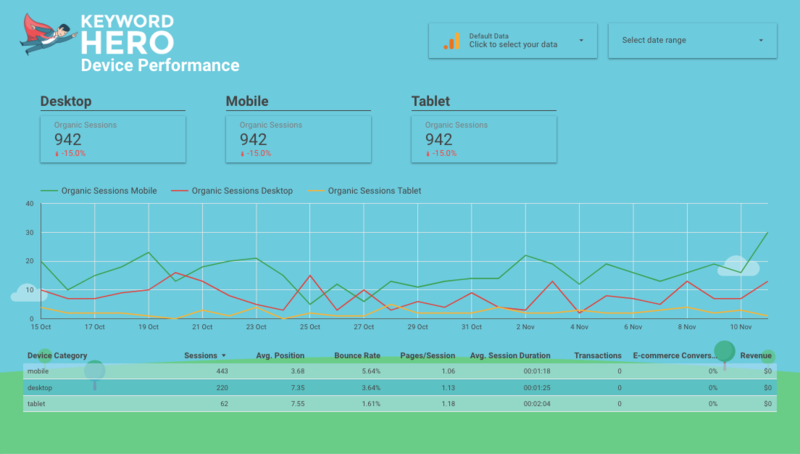 This dashboard gives you insights about what devices are used by organic users and how they behave depending on what they used. You’re getting clients from all over the world? Then this is your custom dashboard! 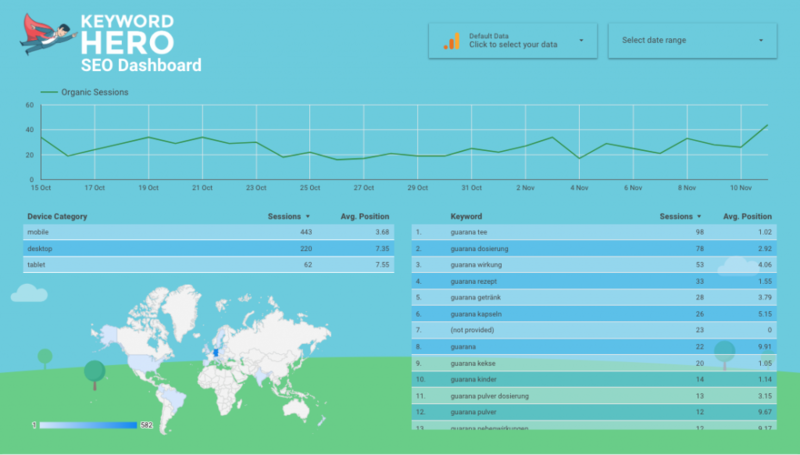 Analyze your SEO performance and keyword ranking across various countries at one glance. 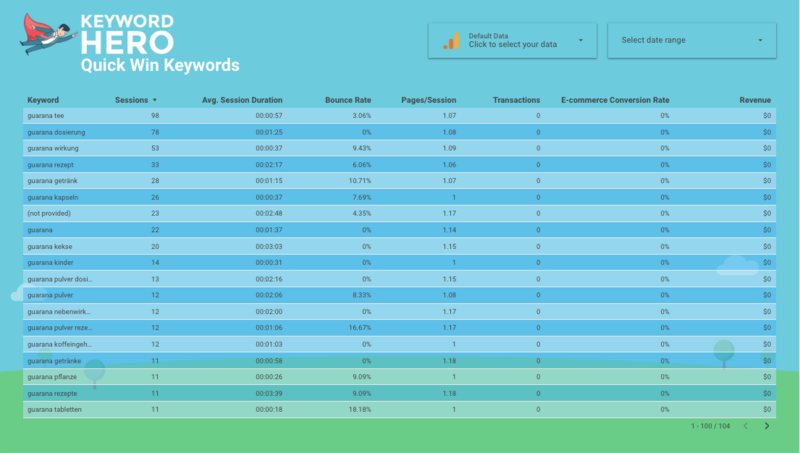 The brand / non-brand keyword performance report enables you to see at one glance how many sessions and transactions came from generic search queries vs those containing your brand name. 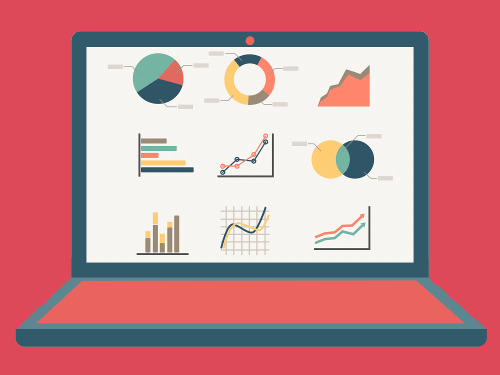 You’ll have an easy time to measure your SEO efforts compared to brand building campaigns such as TV or print. 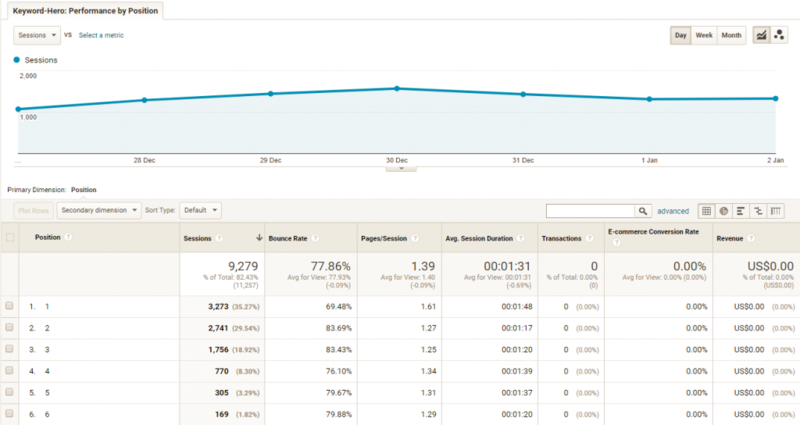 Focus on your mobile traffic! 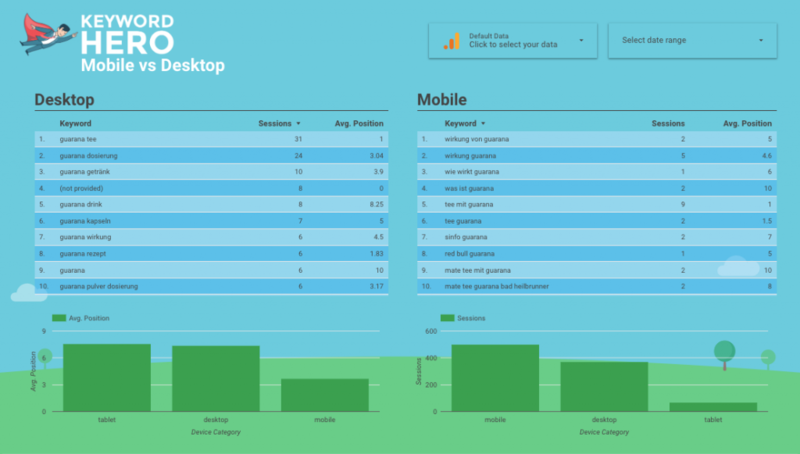 With Google’s Mobile Index coming, this dashboard helps find mobile winner and loser keywords. 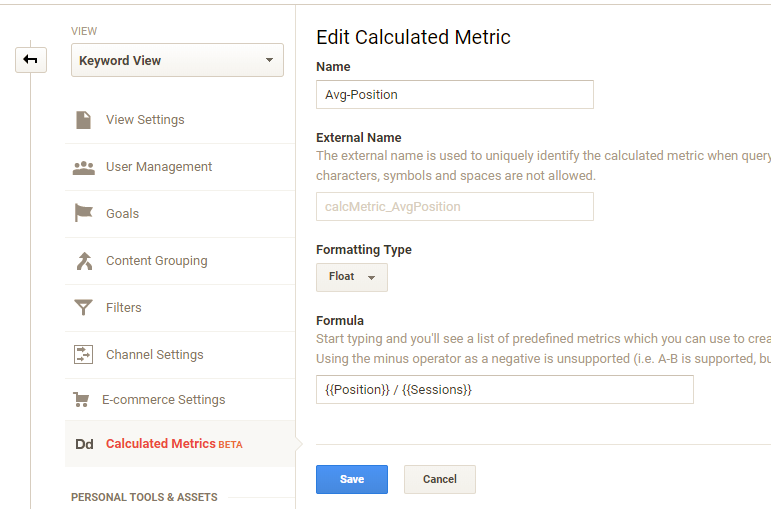 Use additional dimensions and segments to dive deep into your users’ behaviour. 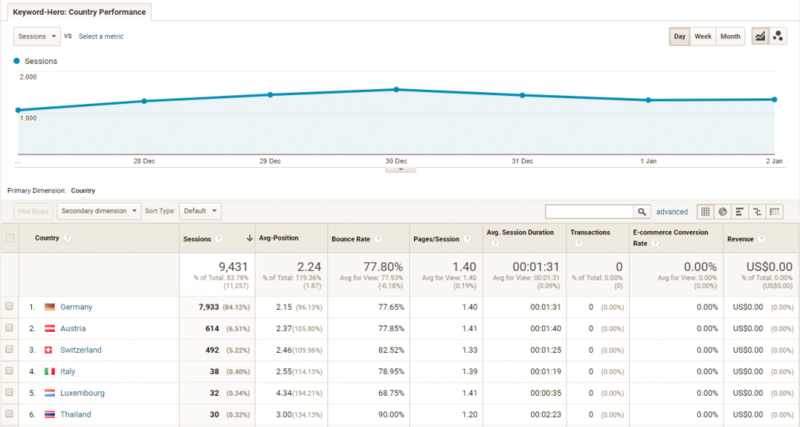 What are those keywords that already drive traffic but are still on Google’s 2nd page? 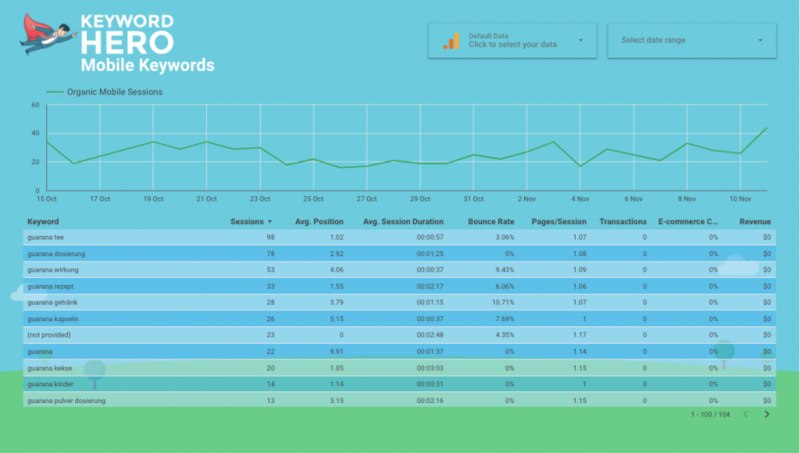 Our Quick Win Keyword report shows you all those keywords that are close to ranking on the first page. Putting more effort into those will increase your traffic tenfold fold. 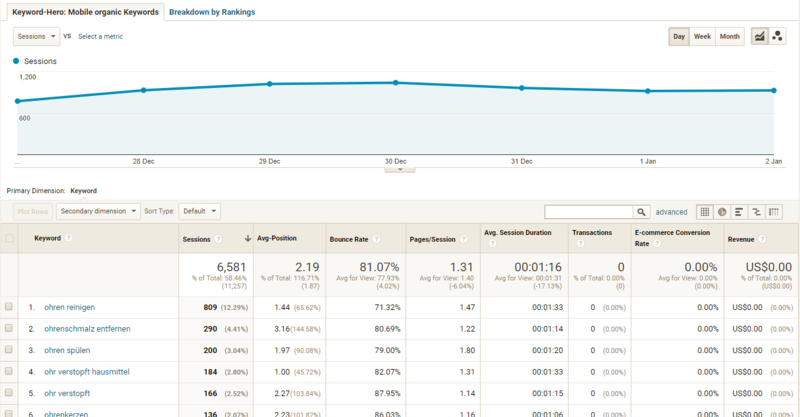 Do users that clicked on SERP position 1 behave differently than those clicking on 8? 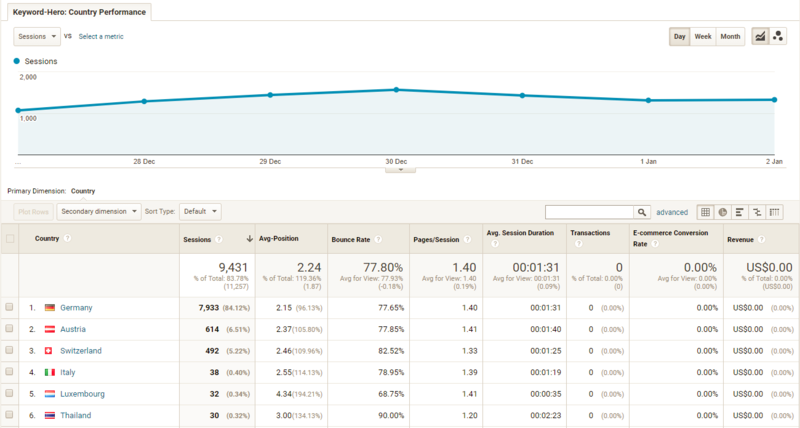 This dashboard answers this for you and gives you a good insight into how position and traffic correlate. 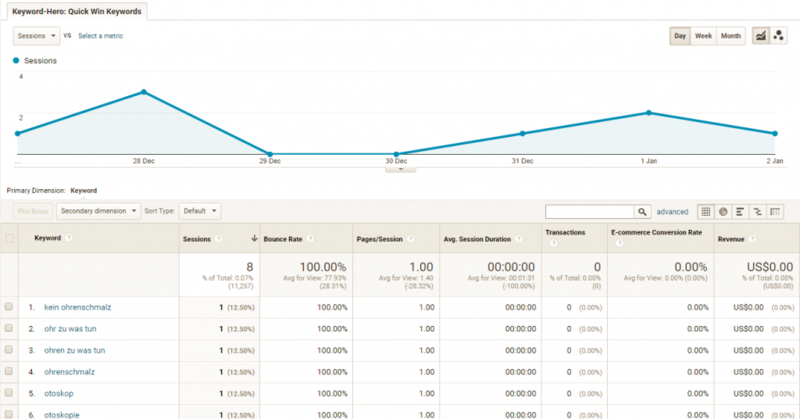 Which keywords does your landing page rank for? The keyword to landing page report correlates those two dimensions. 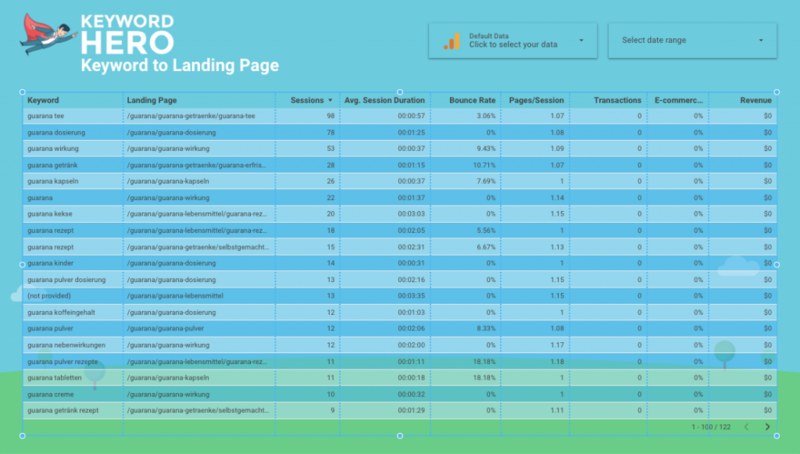 This helps you to spot under- and top performing keywords for each landing page. 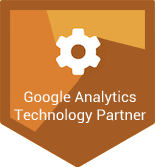 Go to “Admin” in your Google Analytics account.